Specialized Bicycle Components, Inc. of Morgan Hill, California has announced a recall of about 14,000 2009 Specialized Bicycles sold in the latter half of 2008 and into 2009. As reported by the Consumer Products Safety Commission, this recall involves HL handlebars on the following 2009 Specialized bicycles: Cross Trail Comp, Myka HT Comp, Myka HT Elite, Rockhopper, Rockhopper Comp and Rockhopper Comp 29. The model number of the HL handlebar is ALR-13 NTFOV and is located underneath the right hand grip of the handlebar. Specialized requests that riders stop using the bikes immediately and contact a Specialized dealer for a free handlebar replacement. 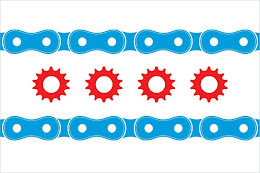 If you have been injured using a Specialized bicycle (or any other bicycle that breaks) please contact Mike Keating at MKeating@KeatingLegal.com or 312-208-7702 to discuss your legal options.